The MicroTrak MTT4B is an 8-watt 2-meter frequency agile APRS transceiver. It includes a custom TinyTrak4 firmware and can act as a tracker, digipeater, telemetry transmitter, or an interface for compatible weather stations. The MTT4B has telemetry channels for monitoring the supply voltage and temperature, and 5 additional pins which may be used for 0-5 volt telemetry. A 10 pin interface will accept a TinyTrak4 display adapter and PS/2 keyboard, which will allow APRS text messaging and programming user options. The MTT4B has been designed primarily as a mobile transceiver, although it is just as capable as a fixed station digipeater. The unit must use a proper mobile or base station antenna, and will not operate properly with a rubber duck antenna. Two separate serial ports are usable for GPS and computer KISS and text interfacing. The MTT4B firmware is similar to the TinyTrak4 Alpha firmware. Refer to the TinyTrak4 page for configuration documentation. Configuration is done with any terminal program and a DB-9 or 2.5mm cable. The included 12V interface cable normally includes a cigarette lighter plug but can be substituted with a Powerpole if requested. These products operates on amateur radio frequencies, and requires a valid amateur radio license to use. The MTT4B is out of stock and is being replaced by the MTT4BT. Includes built-in bluetooth adapter and GPS/power interace cable. Does not include GPS or antenna. 40 watt verion of the MTT4B. Does not include GPS or antenna. 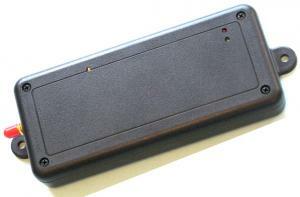 40 watt verion of the MTT4BT. Does not include GPS or antenna.